The European Parliament, which is nearby, was placed on lockdown. The parliament's president, Antonio Tajani, tweeted to say it would "not be intimidated by terrorist or criminal attacks". 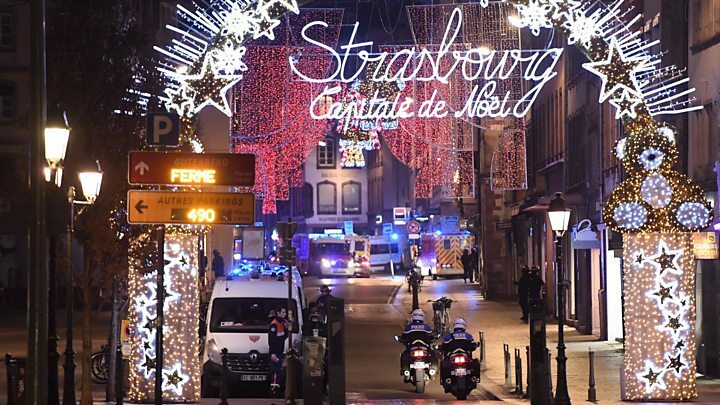 Local journalist Bruno Poussard wrote on Twitter that there had been a dozen shots fired on his street in the city centre - one or two to begin with, then in bursts. A shopkeeper told BFM TV: "There were gun shots and people running everywhere. It lasted about 10 minutes."